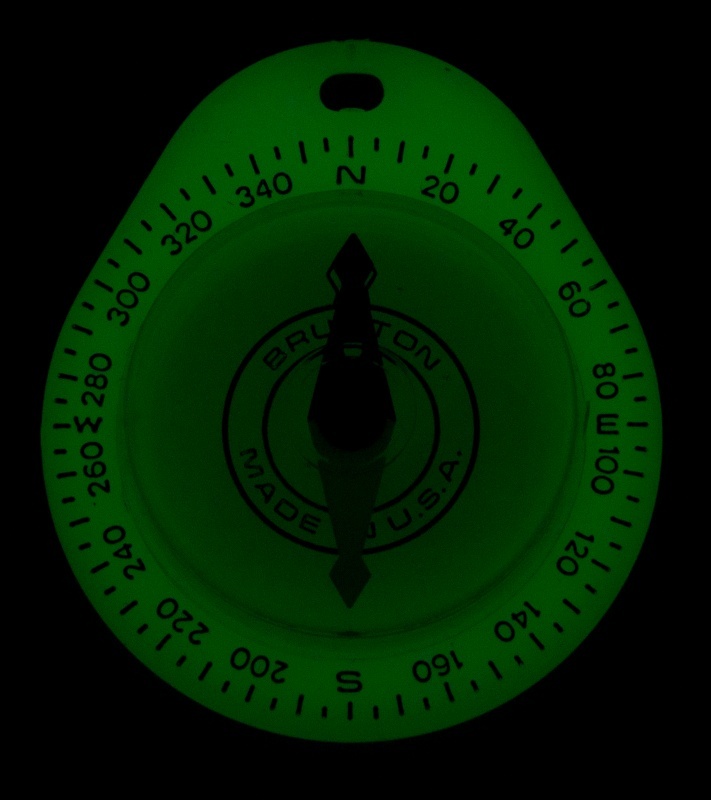 Lightweight, easy to carry, and easy to read day or night, the Brunton Glow Compass is a camping/hiking must have. 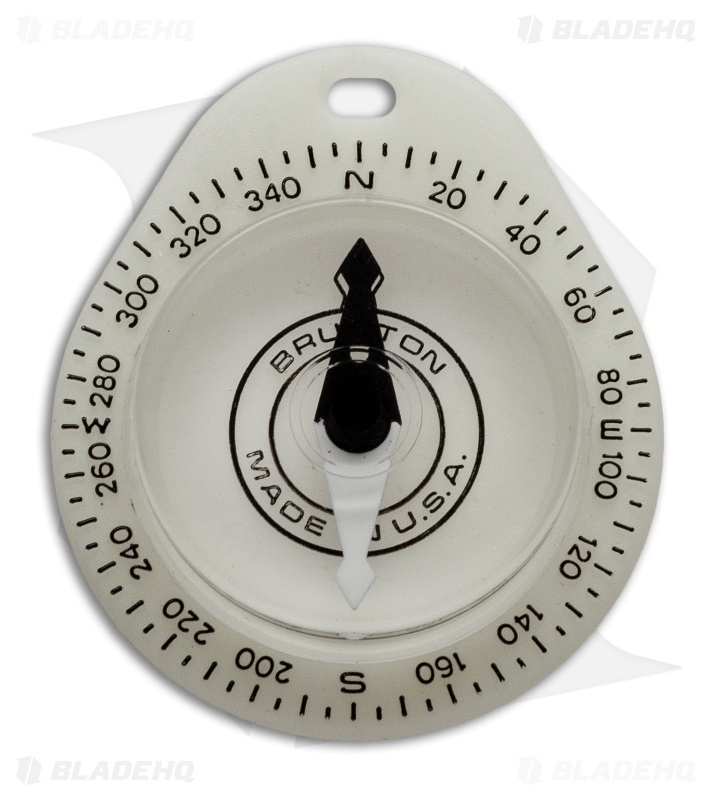 Weighing in at just half an ounce, you can fit this compass in a pack, attach it to your key ring, or hook it to a belt loop and never notice it's there until you need it. It's easy to read in the daylight, and since it's made from glow-in-the-dark, hard molded plastic, you can keep going at night as well. Comes with a ball chain keychain so you can easily attach it to your gear. 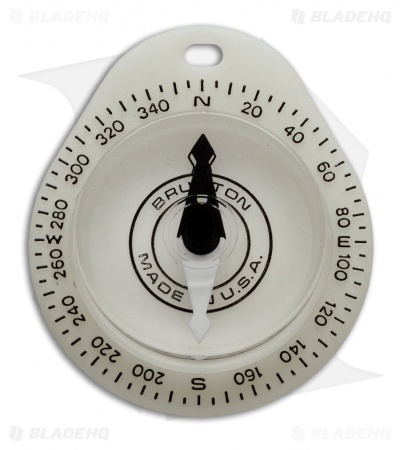 Measures 2" x 1.75, so it takes almost no space to carry. Precision made in the USA.